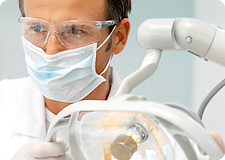 Dental X-rays are an important part of your dental treatment. X-rays allow us to see what is underneath your gums and helps us evaluate for tooth decay, infection and bone loss. Without X-rays we cannot do a thorough exam, nor can we be sure that we are diagnosing you properly. Some of the things we can see only with an X-ray include: small areas of decay between the teeth or underneath a filling, tooth and gum abscesses, developmental abnormalities, cysts and tumors. Dental X-rays are taken for different reasons. When you first visit a new dentist, normally they will take a Full Mouth Series of x-rays. This can be up to 26 films taken to show every tooth and every root in your mouth. This will give us a base line to start treatment. After that, once a year you will need check-up x-rays, or bitewings. This is 2-8 films used to check between the teeth for decay and bone levels. 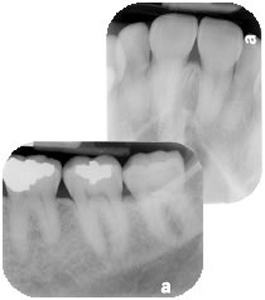 Every 5 years, a Full Mouth Series is done, instead of check up x-rays, with a complete examination. If you have pain, we may take 1 or 2 x-rays to help diagnose the problem. Some people think they should not have dental x-rays because of radiation exposure. But, dental x-rays only expose us to a very small amount of radiation. Much smaller than naturally occurring cosmic radiation and radon. We also limit your full body exposure with the use of a lead apron. This apron also has a thyroid collar that goes around the neck. If you have questions about Dental X-rays, talk to your dental professional today! Gum Recession is one if the leading causes of sensitivity today. After the gum recedes, there is dentin (root surface) exposed. Dentin is full of tubules that have open access to the nerve of the tooth. Without the gum covering and protecting the dentin, exposure to heat, cold and pressure can cause pain. There are several things that can cause this condition. 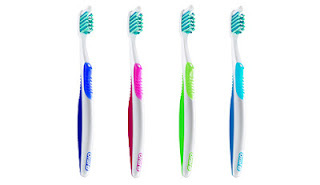 Brushing with a hard bristle toothbrush, using to much pressure when brushing and highly abrasive toothpaste can wear away at the gums and push them away from the tooth. Grinding and clenching your teeth also causes gum recession. The pressure placed on the teeth from grinding and clenching not only causes gum recession, but can create structural problems for the teeth as well. Genetics is another factor that plays a role in your risk of gum recession. 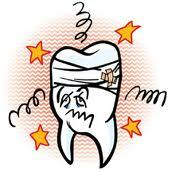 If you have a family history of this and/or gum disease you are more likely to have this problem. 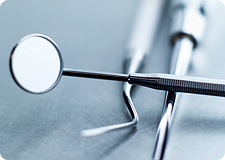 Your dentist may send you to a periodontist to evaluate you for grafting. Grafting is a surgical procedure where tissue is taken from a donor, or the roof of your mouth, and used to replace the missing gum tissue. Only certain patients are eligible for this type of treatment. A more conservative approach involves home care. Working with your dental hygienist to create an oral health routine that can limit damage is the best defense. Using an extra soft manual toothbrush with a non-abrasive toothpaste can help maintain gum levels in your mouth. If you are grinding or clenching your teeth, you need a night guard. This appliance protects your teeth from pressure. If you are having problems with sensitivity or you notice gum recession in your mouth, talk to your dental professional today. Deborah Knepp, one of our great patients and host of local radio show Palm Beach Perspective, invited Dr. Cohen on her show to talk about Oral Cancer. When she heard about our Free Oral Cancer Screenings for the whole month of March, she had to help us spread the word. Thanks Deb! Click on the link below to hear the interview. Dental Anxiety is one of the most common fears today. 75% of people have some form of dental related fear. 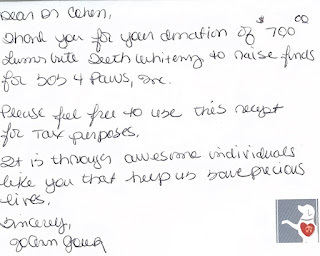 No matter what the cause, this is a matter we take very seriously at The Cosmetic Dentist. We know that it takes a lot of courage for some people to take that first step to better dental health. We are here to help. It is our priority to make sure that your experience with us goes smooth. We have several things throughout the office to help keep you feeling relaxed. We offer nitrous oxide, laughing gas, to help keep you calm and comfortable during treatment. We describe it like having a glass of wine. At the end of your appointment, we give you oxygen for 5-10 minutes. This will clear you out and allow you to drive home. There are medications we can prescribe that will help relax you before you even walk in the door. These do require that someone bring you and pick you up from your appointment. You are welcome to use one of our IPods with headphones during your visit. This will cancel out the sounds of the dentist office. These sounds can be very intimidating to some people and music is a great distraction. In some cases, we can use topical numbing gels for your cleaning appointments. These range from use during a regular cleaning to use during periodontal scaling and root planning, also known as a deep cleaning. Most importantly, we have a super caring staff that puts your comfort first! We want you to feel comfortable during your visits and we will do everything we can to achieve that goal. During your first visit with us, we will take the time to find out what your specific needs are so we can maintain your comfort. ﻿Many parents have questions about caring for their children's teeth. When do I start brushing their teeth? When should I take them to the dentist? How do I keep them cavity free? February is National Children's Dental Health Month, and we want to help get the word out. Starting a child out with good dental habits and regular checkups can send them on the road to healthy teeth and gums for life! Teeth are formed during pregnancy and mom's good nutrition plays an important role in the development of teeth. Running a wet cloth over the gums after feedings helps to keep bacteria down before teeth come in. When teeth come in, use a small, soft, child's toothbrush to clean off teeth at the end of the day. NEVER put a baby to bed with a bottle unless it is water. The sugar in juice and milk will sit on the teeth all night and cause damage. Parents need to also be aware that having bottles frequently or sipping on bottles during the day can cause the same type of damage. When giving a child milk or juice, have them drink it within a few minutes. If they want to sip on something, give them water. This will neutralize the acids in their mouth and keep them from getting cavities. At around age 2, most of your child's teeth will be in. You can now use a drop (about the size of a pea) of fluoride toothpaste to brush their teeth. You will need to assist them with brushing till they are around 7 or 8 years old. Around 1 or 2 years old, start bringing them to your dental hygiene visits with you. They can sit on your lap and start to get used to the dental enviroment. Talk to your dentist about having a "Happy Visit" for your child. This is a slow going appointment where nothing that overwhelms the child occurs. We show them the mirror and water sprayer, count their teeth, and polish them if the child does well. The dentist can also help you determine when to start this process with your child. Below is a chart of primary teeth eruption. Just remember, each child is different and some may get their teeth sooner or later than other children. Ask your dental care provider is you have questions. 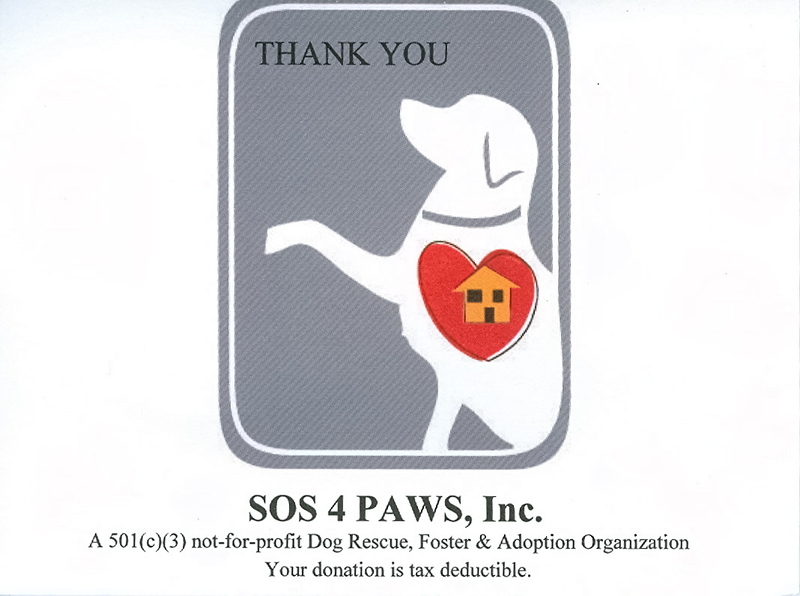 ﻿We are so excited that we could make a donation to help out our friends at SOS 4 Paws, Inc. Two of our wonderful patients, JoAnn and Kenny Goodrich, are very involved with this cause. 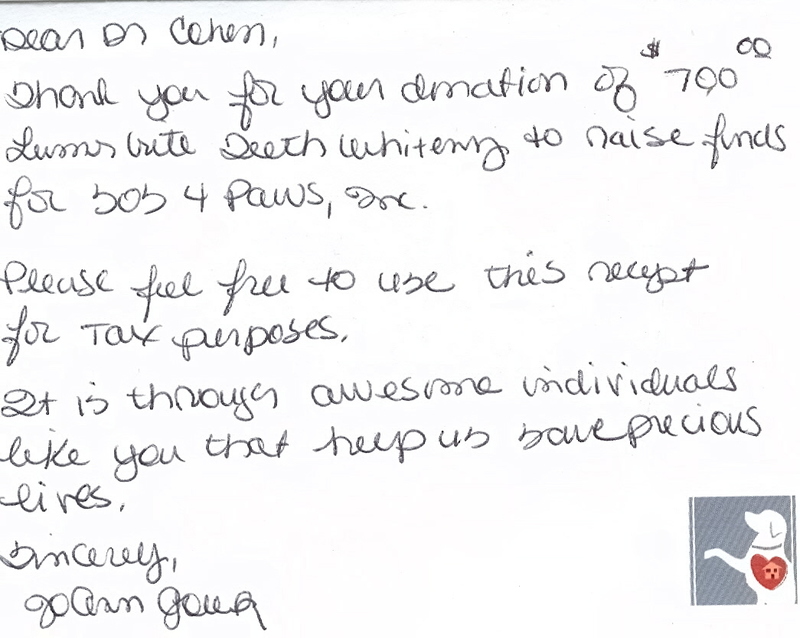 We love what they are doing to help educate the public and find forever homes for rescued dogs. 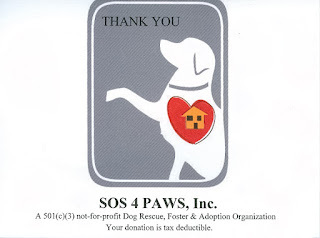 Our very own Johanna Gambale has fostered 4 dogs and adopted the 4th one, Mr. Bogangles. We are proud to support this organization. Check out the links below to their website, blog and facebook page for more info. Tooth sensitivity can be a difficult condition to live with. It can affect the way you eat, how you care for your mouth and can be very uncomfortable. There are many causes from gum recession to tooth decay. Most of the time we can isolate the cause and eliminate it with home care products or in office treatments. If you have tooth sensitivity, talk to your dentist or hygienist about it. They can check for serious situations and help get you back to normal. We have taken the initiative to help the young athletes in our community keep their smiles healthy. 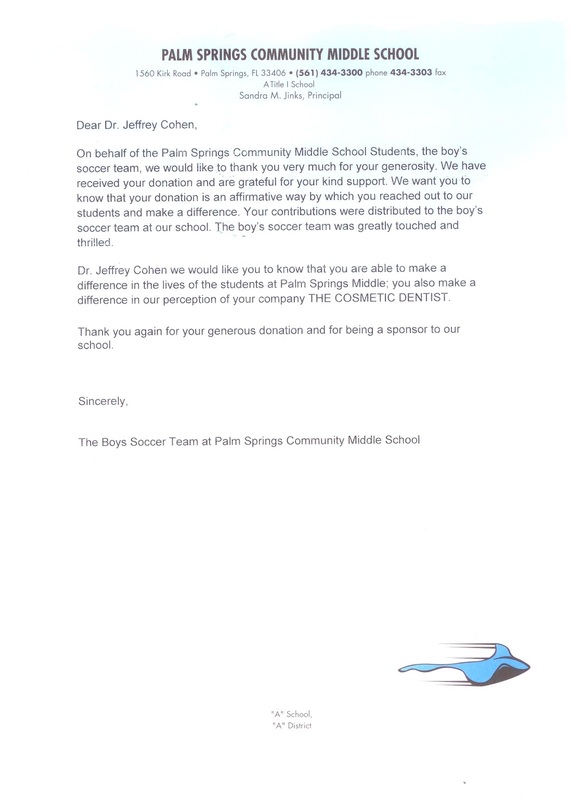 By providing athletic mouth guards to all the sports programs at Palm Springs Community Middle School, we are helping students protect their teeth from sports injuries. For more information about sports mouth guards follow this link http://www.webmd.com/oral-health/tc/mouth-guards-for-sports-topic-overview. Always choose a soft toothbrush. Having hard bristles on your brush can do more harm then good. Brushing with those hard bristles can cause gum recession and abrasion cavities at the gum line. Price is not always the best indicator of quality. Look for rounded bristles, not sharp. 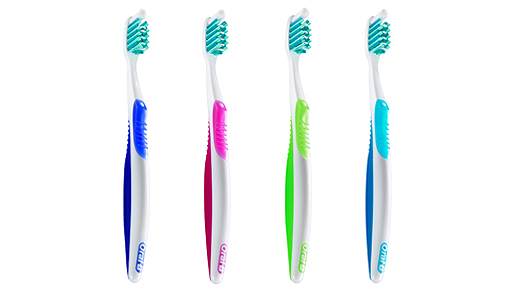 Manual toothbrushes are the preferred brush for most healthy adults. If you have problems with dexterity, an electric brush may be a better choice. If you have gum disease, we recommend the Rotadent and sell it here in the office. Toothbrushes need to be changed every 3 months, or after you have been sick. Electric brushes are no different and have removable heads that need to be changed just as often. Bristles become frayed over time. This causes the bristles to lose their effectiveness and can become a breeding ground for germs and bacteria. Just remember, talking to your hygienist is the best way to find out what kind of toothbrush will fulfill your specific needs. 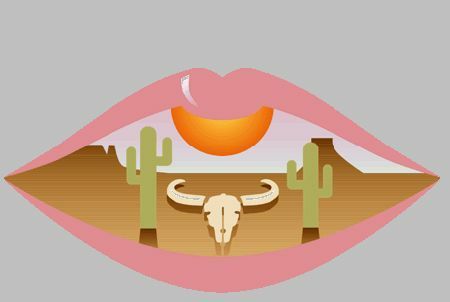 Dry Mouth, also know as Xerostomia, is a condition that results from a lack of saliva production. One of the most common reason for dry mouth is prescription medications. Over 400 medications list dry mouth as a side effect, including blood presure medication, antihistimines, antidepressants and sleeping pills. Dry mouth can also come from a number of diseases so it is important to find out the cause of this condition. When you have dry mouth, other things can occur like bad breath, increased risk of dental caries (cavities), and periodontal disease (gum disease). It is very important to stay on top of this to prevent possible damage. There are many products on the market to deal with dry mouth. Also, you can use sugarfree gum, sip on water frequently, and avoid products with alcohol in them to help maintain the moisture in your mouth. Talk to your hygienist today about getting a plan together for a healthier mouth. There are many reasons for white spots on your teeth, but healthy teeth should appear smooth and have a unifom color. Some of the reasons for this include fluorosis,enamel demineralization, erosion, and infectious disease episodes. In certain situations, a cause cannot be identified. We are trying some new things here at The Cosmetic Dentist to get rid of these spots and make happier smiles. Ask your hygienist what this new treatment can do for you. Making the effort to brush twice everyday is a great start. However, without flossing, your oral health will suffer. Use these techniques to make your dental routine complete! 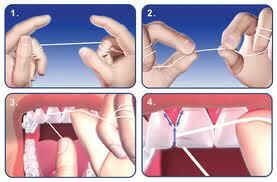 Wrap the floss around your middle fingers and use your pointer fingers to guide the floss where it needs to go. Keep the floss pulled tight, no slack between your hands. GENTLY use a sawing motion to get the floss between the teeth. BE CAREFUL not to snap the floss down this can damage your gums. Curve the floss in a C-shape around the tooth and then gently scrape the side of the tooth. Don't forget to slide the floss all the way down under the gums. Make sure to floss both sides of each tooth, and the back side of the last tooth. Here are some extra tips for successful flossing. If you have not been flossing regularly, your gums will probably bleed. Use a salt water rinse (8oz warm water and 1/2 teaspoon salt) after flossing to calm the gums. If you are still having trouble, talk to your dental hygienist. They can address your concerns and work with you to establish the best routine for your mouth.